Sample medical receptionist cover letter that makes building your own persuasive cover letter much easier. 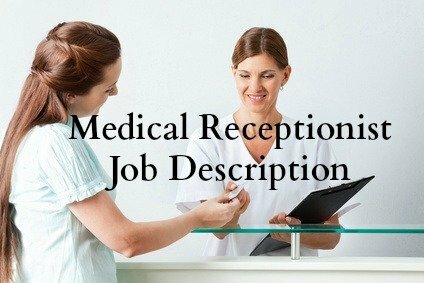 Include information that is relevant to the job you are applying for and target your job application to the specific medical receptionist job opportunity. Your cover letter is your first chance to impress an employer - make the most of it by creating a concise and convincing introduction to your skills and experience. Your recent job posting for a Medical Receptionist immediately caught my attention as my experience and skills are a close match to your job requirements. I have enclosed my resume for your review and consideration. Please allow me to summarize my suitability for the position. I thoroughly enjoy working in this type of environment and pride myself on responding quickly to all patient needs with empathy and professionalism. I would welcome the opportunity to meet with you to further discuss this job opportunity. There is tough competition for healthcare jobs. 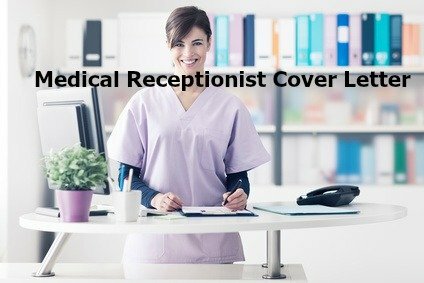 Make sure your job application stands out with an impressive medical receptionist cover letter that quickly convinces the employer to pay close attention to your resume and job application. 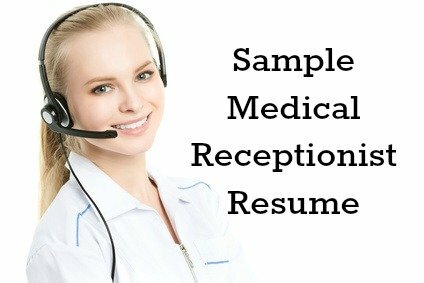 Use this sample medical receptionist resume to get the results you want. What skills should you highlight in your medical receptionist cover letter? Hiring managers have listed the following in-demand skills for medical receptionist jobs. You can build an effective cover letter by highlighting those relevant skills required by the specific medical receptionist job opportunity.